While most people’s darkest dreams stem from childhood trauma and unresolved anxieties, my recurring nightmare is peculiar because of who or what is involved. The scene always starts the same with me looking at my own funeral set in a dark, overcast day. My family looking solemn but oddly distant and uninvolved. Unable to move or speak, I can feel myself being lowered to the ground, not by my loved ones or even my enemies, but by all of the computer hardware I have reviewed and have been disappointed by. In attendance was the video card which fried my entire Phenom II system, the power supply that almost burned down my office and the budget chassis which cut all my fingers open. To my left and right are the expensive first generation self-contained liquid cooler that leaked after a few months and the CPU tower cooler with fans that sounded like a lawnmower, dropping my casket six feet under in one last effort to let me down. I breathe a sigh of relief when I wake up because the weight of all the empty promises is absent. I have a new CPU heatsink in front me and judging from my previous reviews of the same brand, I most likely will not be disappointed. Much like our previously reviewed Shadow Rock 2 CPU cooler, the Dark Rock Pro 3 is designed with silence primarily in mind. Now on its 3rd revision, the Dark Rock Pro is a dual-tower CPU cooler with seven 6mm heatpipes and outfitted with two Silent Wings fans. Compatibility spans all the way back to LGA775 through LGA2011/1150 for Intel mainboards as well as Socket 754 through FM2+ for AMD motherboards. 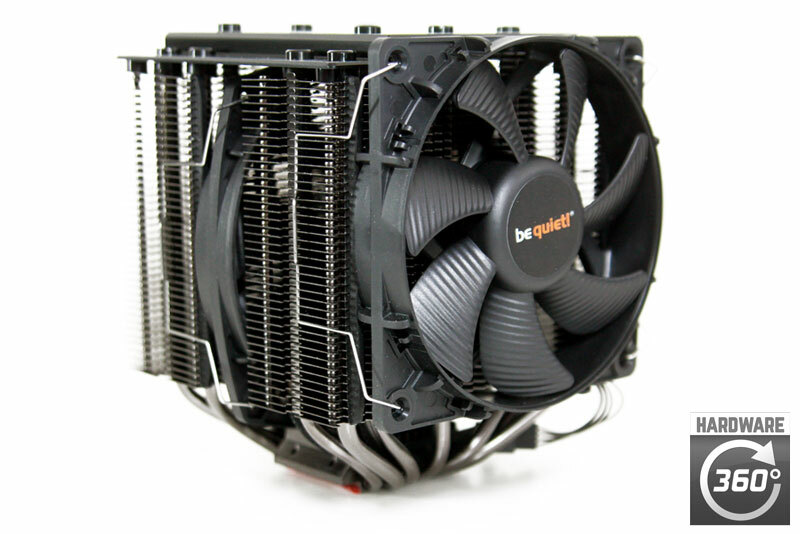 The Dark Rock Pro 3 is Be Quiet’s flagship CPU cooler and has a cooling capacity rating of 250 TDP.